Solicitations have gone out for two new Injustice 2 Figures by Hiya Toys. These new figures are Previews Exclusives, and will be available via comic shops, as well as most online collectible shops. 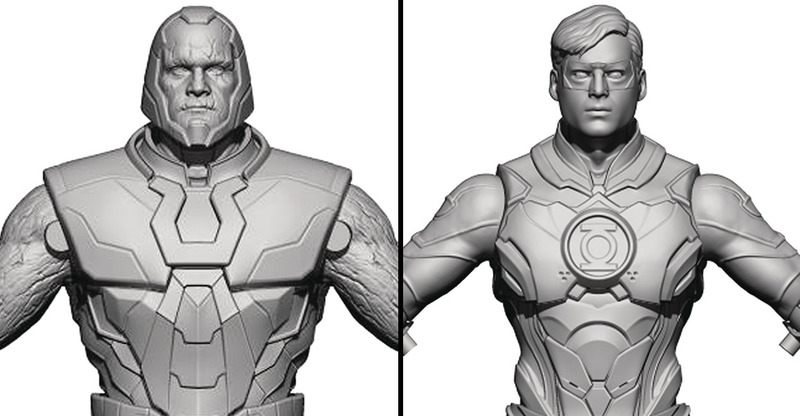 Included are 3.75″ scale versions of Darkseid and a Hal Jordon Green Lantern. The figures are priced at $19.99 each, with a release set for December. Check out the info below, and see the initial 3D renders after the jump. Pre-orders will begin going live today. INJUSTICE 2 DARKSEID PX 1/18 SCALE FIGURE From Hiya Toys. A PREVIEWS Exclusive! Injustice 2 follows Batman and his allies as &#187; Continue Reading. The post Injustice 2 – Darkseid and Green Lantern Figures by Hiya Toys appeared first on The Toyark - News.